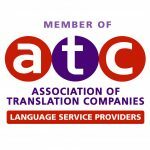 Translation Services 24 are one of the leading and officially accredited translation agencies in the UK, specialising in providing divorce certificate translations. As an official UK translation agency, we provide translations of divorce certificates which are legally recognised by the authorities and government bodies in the United Kingdom, as well as majority of authorities overseas. We are able to provide you with a legally recognised certificate of authenticity, issued and signed on our letterhead paper, along with a hard copy of the official document and the translation. Our divorce certificate translations are fully accepted by official authorities and follow the formal requirements of the Home office & Courts of Law. We are able to translate a standard divorce certificate within 24 hours of receiving the document. You may scan and email over your document to save time. Once translated we send out a first class copy in the post which will be fully certified, stamped and signed by our management team. 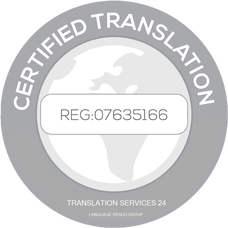 Our Certified Translation services are reasonably priced and prices start at just £45 + VAT, including translation, official certification and delivery.